The still life has long been relegated to the lowest tier of the art historical hierarchy, and on the Lower East Side, where plush hanging sculptures (like those at Kristen Lorello) jostle alongside sand cast canvases (like Lisha Bai’s at Klaus von Nichtssagend), it might seem that there still is no room for the still life. This excellent show of Susan Jane Walp’s recent work at Tibor de Nagy, however, begs to differ. A series of fifteen paintings, all made since 2014, depict simple stacks of everyday objects, always with something round––a grapefruit, a footed bowl of figs, an empty piece of porcelain–– at their centers. Their palette of muted greens and grays suggest an overcast day and no rush to get anywhere. So spare and deliberate are these works that they betray more than the daily breakfast of the painter, but a full and quiet life. By limiting herself to the same small canvas, Walp has developed not merely individual works of accomplishment, but an exhibition which reads as a melancholic, but tender series of patterning, which calls attention to the ways in which we see repetition in form. 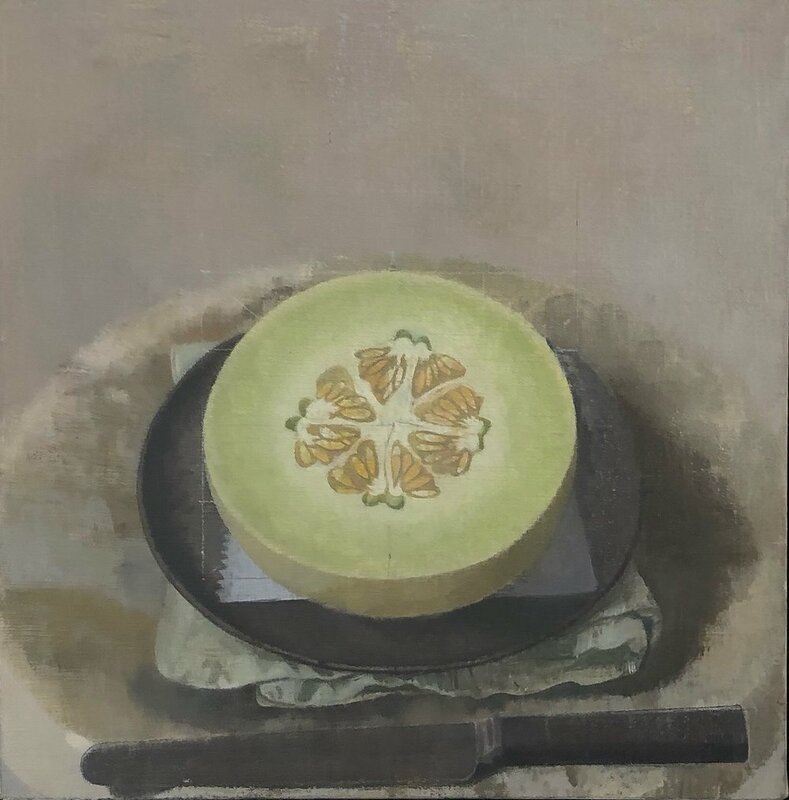 The thin celadon lip of an empty bowl, the abstracted paisley segments of a pomelo, the ombre of green at the center of a cantaloupe, and––connecting them all––gridded guidelines, show us the undergirding of painting structured by proportion. If verisimilitude is not the aim (which, with the canvases’ texture showing through layers of paint, is certainly the case), then perhaps we are in pursuit of a feeling, though a feeling that never approaches the monumental. There may be nothing profound about these paintings, but frankly “just fine” is more than enough.